We’ll let you on a little secret: even we know that big data can be a pretty intangible concept. Terms like cloud computing, batch processing and Hadoop just aren’t the type of words that gain mass interest. It’s kind of like John Oliver’s rant over net neutrality and how Americans – albeit arguably humans in general – all too easily tune out or overlook really important things packaged in really boring ways. Of course, big data isn’t inherently evil – though without the enforcement of data rights which include transparency surrounding collection and use, it can certainly be used that way – but that isn’t to say that it isn’t often a little bit uninteresting on the surface. After all, for most people, big data conjures up images of spreadsheets and never-ending 1s and 0s. And, to be honest, that is exactly what makes up the bones of big data. But you won’t ever see it that way, only data scientists will. They are the big data industry’s doctors in a way, x-raying our codes for potential breaks or opportunities for breaches and coming up with antibody, or anti-hacker, solutions (AKA algorithms and queries) from which regular folks don’t have to fully understand in order to benefit. From the public’s point of view though, big data can be a turn-off term, especially given the 10 concerns below. But don’t worry – you aren’t alone in your “everyone is talking about big data” overload. You just need some simplified explanation on what’s going on, why everyone is talking about it and what you can do now to make sure you’re on top of your big data game right now. Big data is confusing, even industry experts will tell you that. But big data loses its complexity when it is visualized and segmented. Businesses that silo out their big data into smaller data for individual teams to use for marketing, advertising, content creation or other purposes are the companies that truly benefit from big data. And there’s nothing confusing about that. Big data is overwhelming if you aren’t a data scientist, or if you don’t have a platform that visualizes your data for you. Luckily, there are multiple platforms (Umbel included) that beautifully visualize your data, automatically segment it according to your business needs and allow for in-house segmentation and actionability (like emailing users) that takes all the “this is overwhelming” feeling out of the process. Done and done. At the most basic level, this is true. Big data isn’t always actionable because what big data does – revealing previously unknown connections between behaviors, time, identity and lifestyle – doesn’t always have a clear next step. Of course, proper visualization on business-minded big data platforms solves that problem. With Umbel, for instance, you can email your users, purchase advertising, print out profile sheets, update your rate card, create custom presentations and so much more. At the end of the day, if your big data doesn’t lead you to a next step, you just simply aren’t doing it right. The platforms used to collect, analyze and then act on data often aren’t cheap, but there’s good reason behind why that is: big data is about to become your biggest asset. How you collect, use and secure your users’ data is going to reflect in your annual report – and its going to do so soon. Big data platforms are positioned to be the next must-buy tools in the digital industry, especially as the Internet of Things takes off. In other words, big data platforms might be expensive, but only because they are replacing your need for data scientists, enabling your marketing, advertising and sales teams to increase revenue sans tech support. 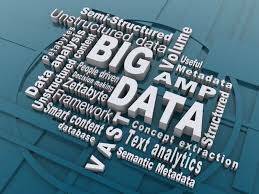 Plus, predictive analyses produced by big data help you to catch and keep users. It’s about increasing your ROI with metrics, rather than a gut feeling. DMP, CRM, Hadoop, batch computing, second-party data, data rights management: those aren’t your typical Internet acronyms. Instead, they are very serious, very meaningful terms that can seriously increase company revenue. Of course, they require a bit of training and a reworking of business best practices in order to fully understand and then implement. The goal is to create data-driven businesses, and you’ll need a data champion in your office in order to do so. One who understands the industry, whether its explained in simple terms or not. It is – though the courts are stepping up their game. Don’t worry, data rights management platforms will take care of the nuances for you. This depends on the platform you’re using, and if you don’t like excel, then we suggest switching to something that better captures your eye and thus your creativity. Your campaigns will be better for it. Trust us. Indeed, processing all of the data that is out there is much too large a task for any one company. Then again, that isn’t the point of big data. The point is, instead, to figure out which answers or results you want from big data and then pull the data most relevant. After all, big data is only useful once you make it small. To do that, you need to know what you want big data to do for you first. For many, big data sparks an immediate big brother resemblance in which everything you do is recorded and monitored without your consent. Unfortunately, some big data does function this way, often third-party data. However, first- and second-party data are building the foundations of a digital data democracy in which users own their data and decide to which companies they want to grant access. This is being spearheaded by companies like Umbel, Facebook, Apple and more, as well as encouraged by the White House. Eventually, we’ll be saying so long to the Internet tracking mechanism we’ve long hated: the cookie. It’s finally crumbling. Currently, it is possible to escape big data. Just read over Janet Vertesi’s account of how she stopped big data from finding out she was pregnant. It’s quite the epic tale. However, as the Internet of Things grows and more items become interconnected, including your toothbrush, cup, ceiling fan and more, avoiding big data collection is going to become increasingly more difficult. But there is good news: who you allow to collect your data is going to be up to you. At least, that’s the end goal behind drafting and enforcing data rights. In the end, big data is going to create a more convenient, enjoyable online world. Now is the time to get comfortable with the term, understand your rights, learn how to use platforms to your competitive advantage and begin to revel in the value of big data returns.